We are experts in cooling system design to increase overall system’s efficiency integrating passive cooling, thermal storage, renewable energy system, high efficiency cooling systems and operation management. 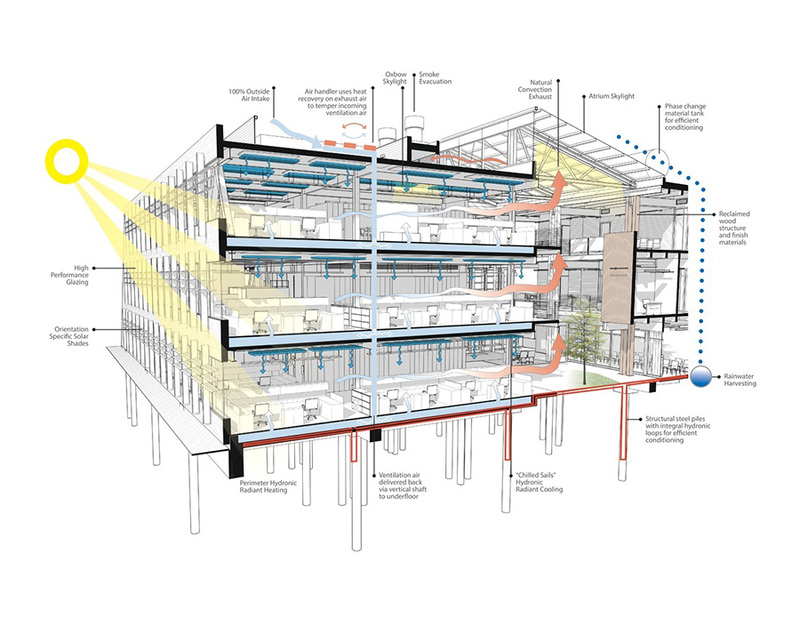 Commercial buildings spend more than 50% of their energy cost on air conditioning systems. Malaysian’s hot and humid climate, added with high indoor heat gain emitted by inefficient lighting, equipment and human respiration has caused a critical need for air conditioning systems especially in places with high occupancy, such as offices, hospitals, schools, universities and shopping malls. Air conditioning should be able to provide clean air and maintain a good indoor air temperature and humidity to achieve thermal comfort and a healthy environment. Toxicity and pollutants in the air could lead to higher sick leave taken by the occupants which will results in lower productivity for the company or organisation or a a longer duration in hospital, increasing hospital waiting times and reducing the total amount of beds available for patients.